When worlds collide, nobody wins. Playtime Season 4 continues with Episode 3: “Glove Slap”. Warren confronts Cobra over his feelings for Red. Meanwhile, an enemy from their past prepares to attack. 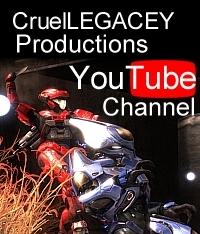 Video | This entry was posted in Episodes, halo reach, Playtime, Video and tagged playtime, playtime season 4, season 4. Bookmark the permalink.